Check and replace bar and chain oil regularly to reduce friction, keep the saw from wearing out faster, and to make cutting easier. Be sure to use bar and chain oil, Not regular motor oil. (Your saw has standards). Gas chainsaws use about one tank of bar and chain oil for every tank of fuel, so fill the reservoir every time you fill the tank. 1. Set on a level surface. 2. Unscrew the cap and pour oil into reservoir – do not overfill. 3. Screw cap back on and wipe down any excess oil. Well, you’re chainsaw’s all lubed up and ready to cut. 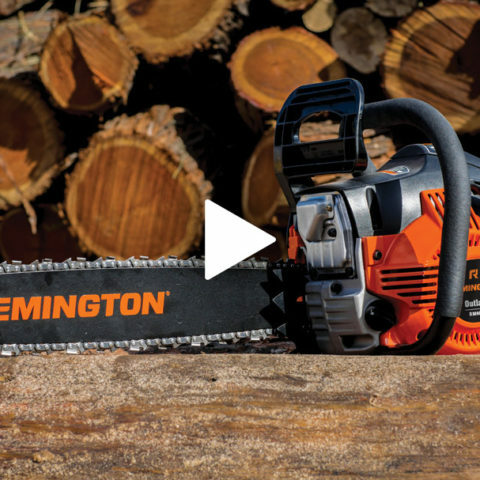 Looking for another chainsaw how-to? Word to the wise: Always check your chain tension before cutting – see how. 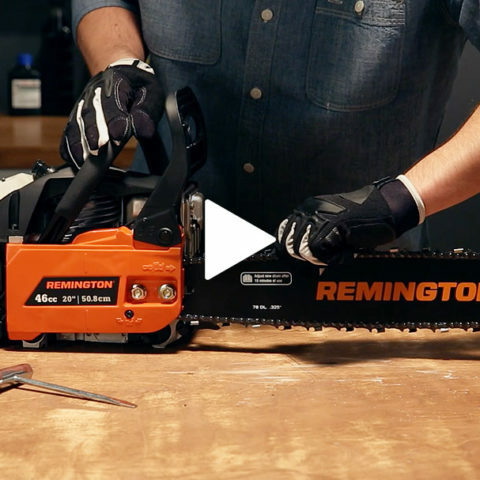 Often overlooked chainsaw maintenance tip: keep the air filter clean and you’ll keep your saw spinning smoothly.